Several iPhone users go through a situation when their iPhone spinning wheel keeps on running. It might happen when they are trying to update their iPhone when new iOS is released or when they are trying to restore their new iPhone. Sometimes, it also occurs when users are trying to reboot their iPhone. So, there can be many reasons for this problem and now, the main point is how users can fix this problem. Before going to Apple store, we come up with several methods that can fix iPhone black screen spinning wheel. Thus, give a try to the below-mentioned solution. Here, we are going to mention some effective methods that can probably resolve the issue you are facing now. Try out methods one by one and maybe you come out of the problem without going to Apple store. The first and most effective method you can try is restarting your iPhone forcibly. For many iPhone users, this method works great and so, must give a try to this method. Don't be panic; force restart will not erase any data on your iPhone. It will just restart your iPhone from scratch. Force Restart on iPhone 8 or iPhone X: Press and quickly release the Volume up button and then, again press and quickly release volume down button. 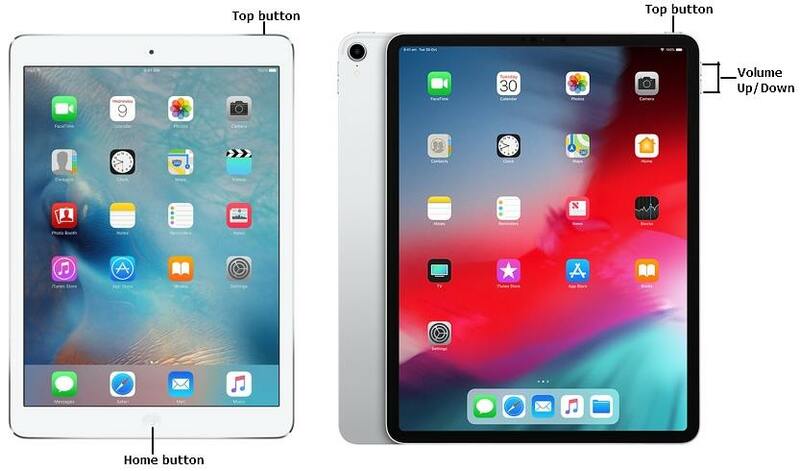 Next, press and hold down the side button until you see the Apple logo. Force Restart iPhone 6S or earlier: Press and hold down the sleep/wake and home button together. Hold down until you don't see the Apple logo on your iPhone screen. Force Restart iPhone 7 or 7 Plus: Press and hold down the sleep/wake and volume down button together until you don't see Apple logo on your iPhone screen. If force restart is not able to resolve iPhone black screen with spinning wheel problem then you can try the ultimate tool, iOS System Repair that can fix this problem for you. This tool has a feature called "Repair Operating System" that you can use to repair your iPhone system to come out of issue you are facing. 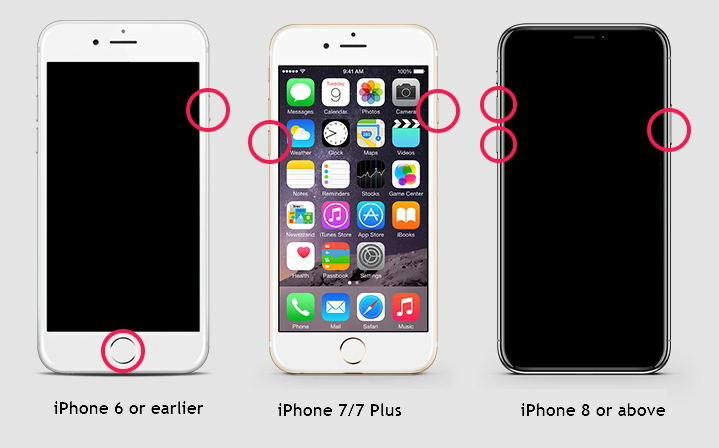 This function can fix many iPhone system issues including iPhone stuck on Apple logo, iPhone black screen, the screen is frozen and more. The tool is compatible with all iPhone models, including the latest iPhone XR/XS/X/8 and it supports iOS 12/11/10/9. Using the software, you can also enter or exit Recovery Mode easily. Want to know best? It is a spy and malware free software and easy to use. Thus, the software is very powerful enough to resolve various common iOS related problems. Step 1: Download and install the software from its official site and after installing it successfully on your system, run it. After that, connect your iPhone to the computer and choose "Repair Operating System" from software main interface. Step 2: Next, the software will ask you to download the firmware package. It will provide you a suitable firmware according to your iPhone software. Thus, download and import it. 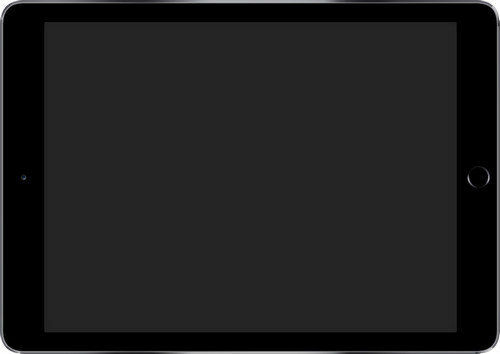 Step 3: Once importing firmware, click on the "Repair Now" button and then, wait for a few minutes until repair process is not finished. Once the process completes, your iPhone will be rebooted and the problem will be fixed. To fix iPhone spinning wheel of death, restore your iPhone from iTunes using a recovery mode. However, this method will erase the existing data and settings on your iPhone, unlike iOS System Repair. So, before going towards its steps, it is recommended to take a backup of your iPhone data. Step 1: To begin it, run the latest version of iTunes connect your iPhone to the computer using a digital cable and after that, you need to switch off your iPhone. Press and hold down the power and home button (In case of iPhone 7/7 Plus, volume down button) together until you don't see iTunes icon on your iPhone screen. Step 2: Once your computer and iTunes able to detect your iPhone in recovery mode and require you to restore iPhone. Step 3: Next, follow all the instructions and restore your iPhone. Once it restores process completes, the problem will also get fixed. That's all on how you can fix iPhone spinning wheel on black screen issue. We have covered both common solutions and ultimate third-party tool, Reiboot to come out of this problem. We strongly recommend you should try out iOS System Recovery Tool as it will fix the problem without any data loss. It is free software and moreover, it is 100% safe and secure to download on the system.